← Religious & Spiritual Books of All Kinds – Close to 500 Volumes, Buy All for Just $300! 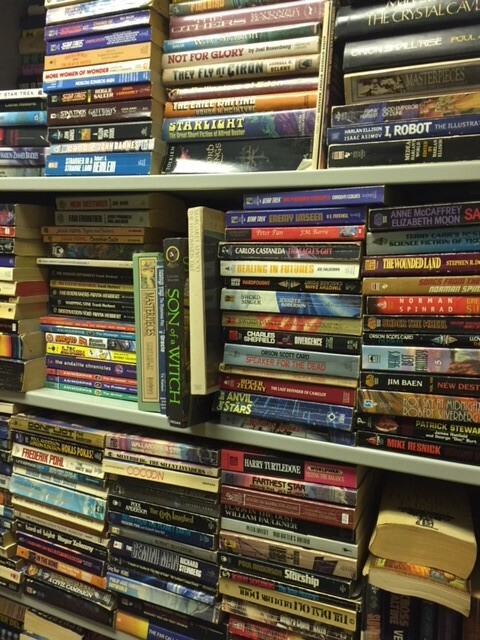 Hundreds of Science Fiction & Fantasy! 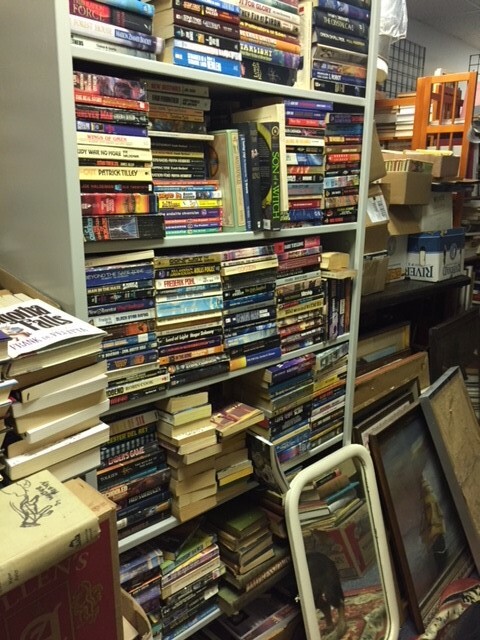 In the past week, I’ve added a good 4,000-5,000 books to our total inventory, including a lot of science fiction and fantasy. I’m not sure exactly how many we now have, as I haven’t yet begun to unpack the boxes I picked up yesterday, that seem to be filled with SF hardcovers! By the way, those shelves are two layers deep… they are FILLED with books! Price: Most of our science fiction and fantasy books are $1.00 for soft covers and $2.00 for hardcovers; buy 3 get 1 free. Condition: Varies widely. Many are in perfect, like-new shape. Others… not so much. This entry was posted in Books - Science Fiction and tagged anne mccaffrey, arthur c clark, fantasy, Isaac Asimov, piers anthony, Poul Anderson, sci fi, science fiction, SF, star trek. Bookmark the permalink.